Home » Blog » Mortgage » Brexit for Home-owners: To Sell or Not to Sell? It is amazing how crisis can so often provide a breeding ground for opportunity, and there have been numerous examples of this throughout history. It was said that the emergence of digital and intuitive smartwatches would signal the end of the traditional watchmaking industry, for example, but complex devices are still being manufactured and sold for up to £200,000 across the globe. The same principle can currently be applied to the Brexit crisis, with doom-mongers predicting that the British economy will enter a period of prolonged decline while an EU-exit deal is considered and then negotiated. Value has already been wiped off the value of the pound, for example, while Chancellor George Osborne has also predicted tax hikes and spending cuts in the near-term. Despite this, there are already signs that some aspects of the economy are rebounding amid the threat of Brexit. The pound has already recovered to pre-referendum levels, for example, while the London property market has even seen overseas investment increase after the results were announced. While domestic buyers have abandoned proposed deals given the uncertainty surrounding Brexit, investors from outside of the EU have flocked to capitalise on fluctuating currency values. While the high-end of the property market may actually benefit from such volatility, however, the same cannot necessarily be said for entry-level homes and mid-value properties. In fact, statistics suggest that the price of low and mid-value homes is likely to fall until a post-Brexit economic plan has been formulated, with the Treasury claiming that losses of up 18% could be experienced over the course of the next two years. So long as the triggering of Article 50 is delayed and Britain continues to dawdle over its future, low and mid-range property prices are likely to bear the brunt of such uncertainty. This trend will also apply outside of the UK, which in turns could create a cycle of decline and recession that is hard to escape. The EU economy will obviously suffer in the wake of Brexit, while the U.S equivalent may also be hit by reduced trade and depreciating stock markets. America may also see the onset of a recession, which in turn will affect the housing market while triggering significant fluctuations in interest rates and home-insurance premiums. If nothing else, owner-occupiers should at least take the precaution of comparing the market and minimising their costs during the next few months. 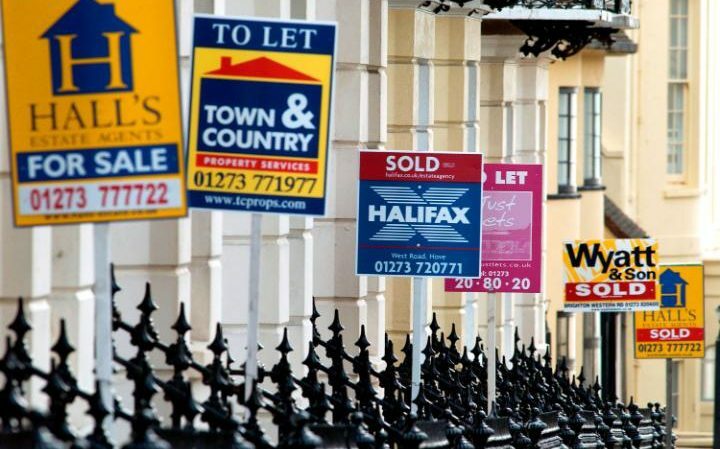 Should you buy or sell your home in the Wake of the Referendum? Of course, leave campaigners have claimed that these predictions are exaggerated, but the truth probably lies between these two extremes. More specifically, while prices are likely to decline over the course of the next two years, the value is property will not necessarily fall by as much as 18%. The trend is clear, however, so those who are committed to selling their property may be better served by acting sooner rather than later. If values are to decline by an estimated 10% over 28 months, this would quickly eat into your profit margins and potentially leave you with negative equity. Conversely, prices are currently inflated and have recently grown as a disproportionate rate to earnings, creating a cushion that will translate into a profit if you sell within the next few months or so. If you do choose to sell, it would probably be wise to avoid investing too much in renovating or remodelling the space. After all, fluctuating values may negate the impact of high-end modifications such as adding a conservatory, so focus instead on optimising the space at your disposal and creating a neutral interior that entices buyers. Curb appeal is also an important factor in a competitive or challenging market, so use a pressure washer to clean your home’s exterior and achieve a professional finish. Ultimately, the decision of whether or not to sell is yours, but you will need to follow economic trends and objective analysis if you are to make an informed decision. You will also need to balance such data alongside your own circumstances, as this will have a huge bearing on which course of action is right for you. One thing is for sure; those of you with a strong motivation to sell would be better served acting now rather than waiting for market volatility to take its toll on prices.